Having a considerable amount of experience in catering to the needs of the industrial as well as agricultural sector, Arun Trade Combines has emerged as one of the leading Manufacturers and Suppliers of a comprehensive range of equipment. 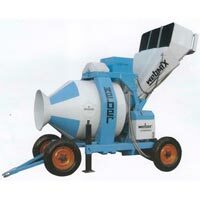 The product range of the company is inclusive of a large variety of Agricultural and Construction Equipment. The company also offers Tractor Trolleys, Water Tankers, Tractor Air Compressors, Mahindra Harvesters, Mahindra Rotavators and Mahindra Tractors. The entire range of equipment is widely used in the various industrial sectors owing to its unsurpassed performance. Having a vast experience of over a decade in this domain, the company has a detailed understanding of the various needs of the clients and offers the products in exact accordance to those needs. The highly dependable testing facilities, the experience and expertise of the team and the reputation and fame earned by the company in this domain make it a preferred choice for the various products. The company is a national entity at present with a loyal client base spread uniformly in the country. Based in Raipur (India), the company offers the Mahindra Harvester to the clients. The Mahindra Harvesters are reliable and durable products that make the farmers capable of extracting the most out of the field. 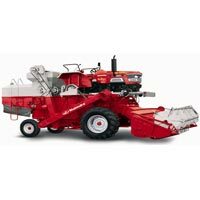 The various features and characteristics of the Mahindra Harvesters make them a popular choice. The company offers the Mahindra Rotavator to the clients. Based in Raipur (India), we are one of the largest Suppliers of Mahindra Rotavators in Raipur (India). 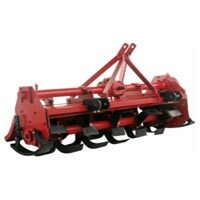 The Mahindra Rotavators are widely trusted equipment due to their excellent quality and flawless operation.